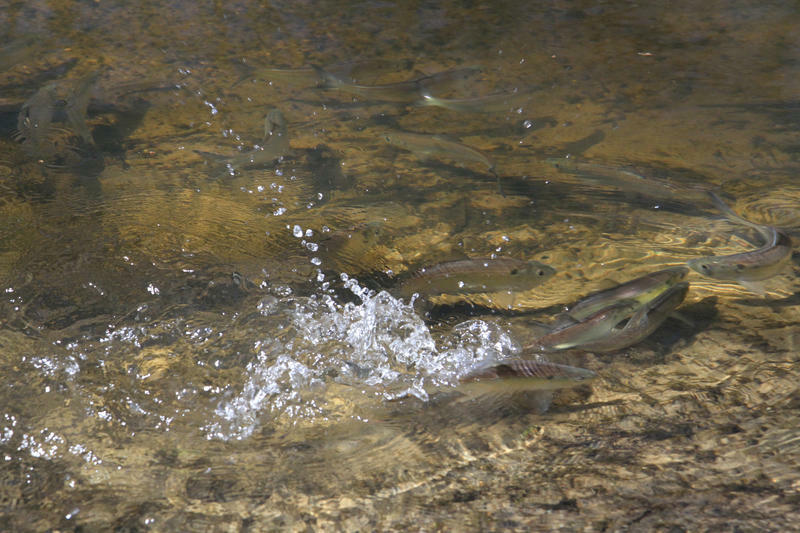 Maryland’s rivers once teemed with a fish called river herring, the generic name for alewife and blueback herring. A century ago, watermen on the Choptank River caught millions of these fish that live in the ocean, but return to fresh water to spawn in a single year. But the population has plummeted, thanks to overfishing, dams that block their paths upstream to spawning grounds and habitat loss. 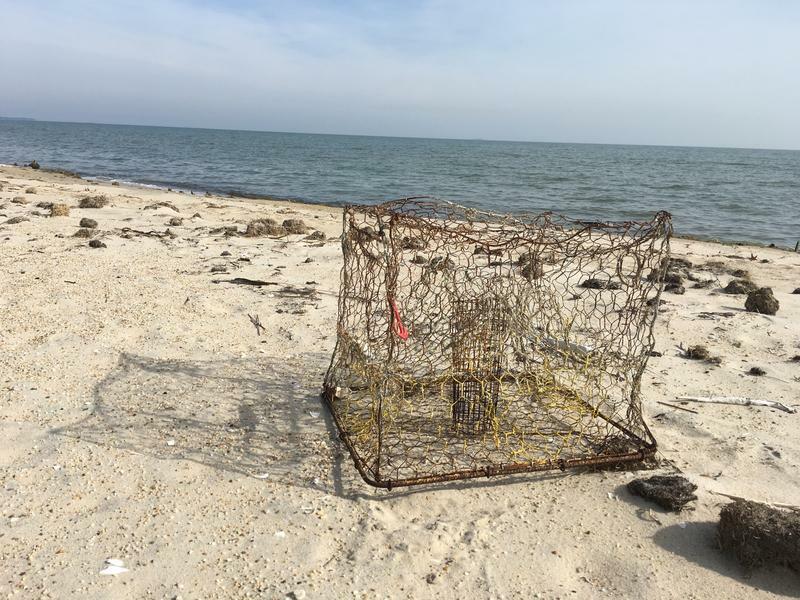 Lost Crab Pots: Not as Bad as We Thought? Back in 2016, a team of scientists from the Virginia Institute of Marine Science said watermen lost an astounding number—145,000 crab pots, leading to the deaths of millions of dollars’ worth of crabs trapped in those pots. But a different panel of scientists says it’s not as bad as they originally thought. 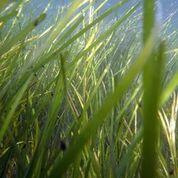 The Chesapeake Bay’s grass beds, once devastated, are making a comeback. A study published this week in the Proceedings of the National Academy has documented a three-fold increase in the amount of bay bottom and its tributaries covered by the beds. It’s gone from 7,000 hectares of grass in 1984 to about 25,000 hectares now, said Jonathan Lefcheck, the lead author of the study. That’s enough grass to cover New York City’s Central Park three times over. Here’s a little known fact. That booming chicken industry on the Delmarva Peninsula began by accident in 1923. Cecile Steele, the wife of a farmer in Ocean View, Delaware, ordered 50 chicks from a nearby hatchery for egg production. They sent her 500. 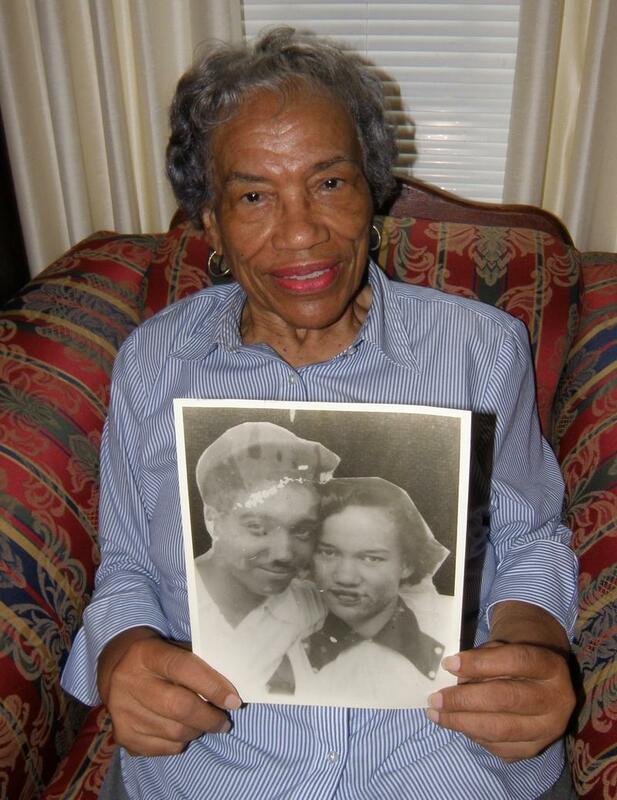 She kept them, grew them out to about two pounds each, sold them for a profit and ordered 1,000 more the next year. Five years later she was raising 26,000 chickens and some 500 other farmers had caught on. A solution to oyster shell shortage? It’s an old Chesapeake tradition, paving driveways, decorating gardens and the bases of rural mailboxes with oyster shells. 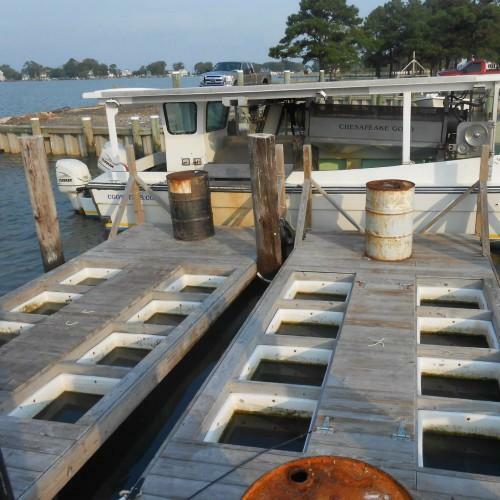 But it may give way to a different purpose; helping to restore the Chesapeake’s decimated oyster population. Here’s why. 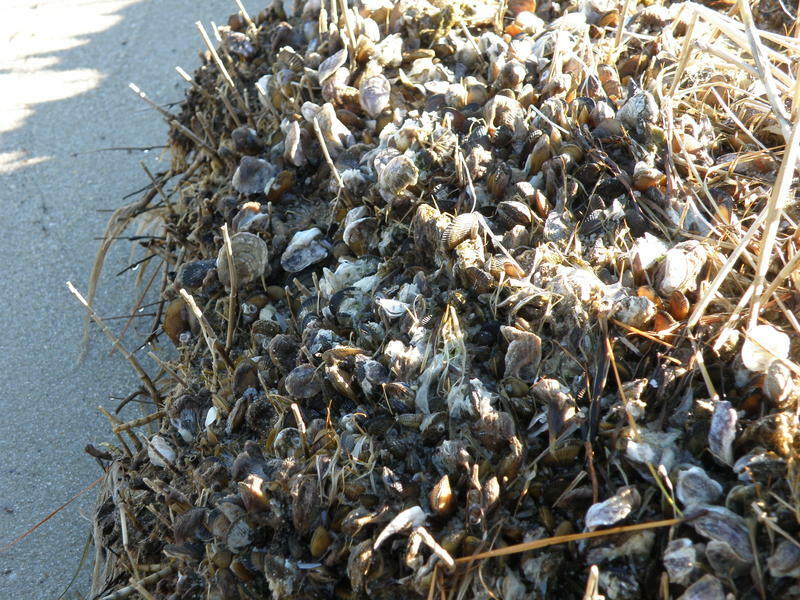 Oyster shells are just the thing an oyster farmer needs to spread across three or four acres of leased bottom in a Chesapeake tributary to form a bed for baby oysters to attach themselves and grow. But shells are hard to come by (see: tradition and decimated population), and expensive; $3 to $4 a bushel. And that’s where homeowners like Jeff and Lisa Duffy come in. America’s fresh water is getting saltier, and has been over the last 50 years. That’s according to new research from the University of Maryland. You’ve seen those big trucks driving around dumping salt on the roads. University of Maryland scientists say that is just one of the reasons that in the continental U.S. freshwater has become 32 percent more salty, and 90 percent more acidic. Interstate conflict at a fisheries managers' meeting? Meetings of fisheries managers often can be snooze fests. But the Atlantic States Marine Fisheries Commission meeting in Linthicum this week turned into turned into a hand-wringing session for commercial fishermen, environmentalists, anglers, and even the commissioners. And it was all because of a baitfish called menhaden. It's November... one of those months with an "r" in it... and that means it's oyster season on the Chesapeake Bay, a tradition that goes back centuries. The folks at Belle Isle State Park, on Virginia’s Northern Neck, are working to preserve some of that tradition with the stories of people who lived there and worked in the oyster business in the 1940s and 1950s. Correspondent Pamela D’Angelo has compiled some of their stories. 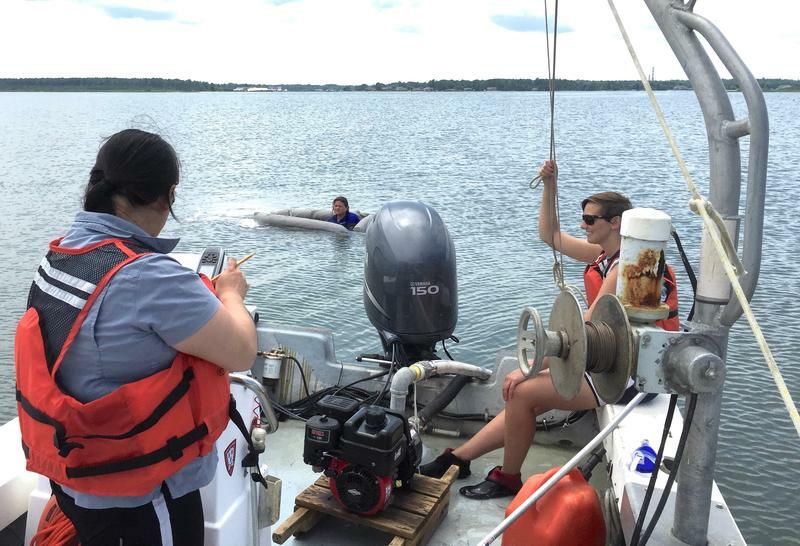 Just as Maryland and Virginia are in the middle of ambitious oyster restoration efforts in Chesapeake Bay tributaries, a new threat has appeared; excess acid in the deeper waters. 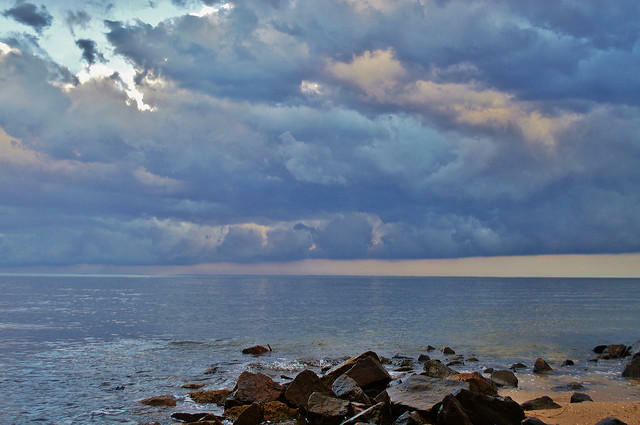 According to new research out of the University of Delaware, deeper bay waters—30 to 50 feet—are becoming more acidic. 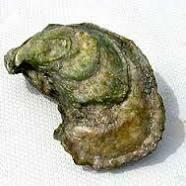 That means carbon dioxide is dissolving in the water, which could potentially hurt oysters. Joel McCord, WYPR's news director, and Karen Hosler, of the WYPR news team, discuss the changed political of Chesapeake Bay restoration. 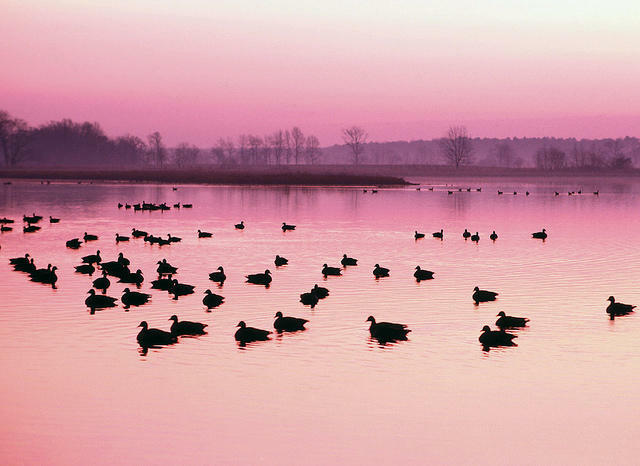 President Trump's budget blueprint to "Make American Great Again" cuts $73 million from EPA, the entire budget for the Chesapeake Bay Program, the multi-agency effort that oversees bay restoration programs. 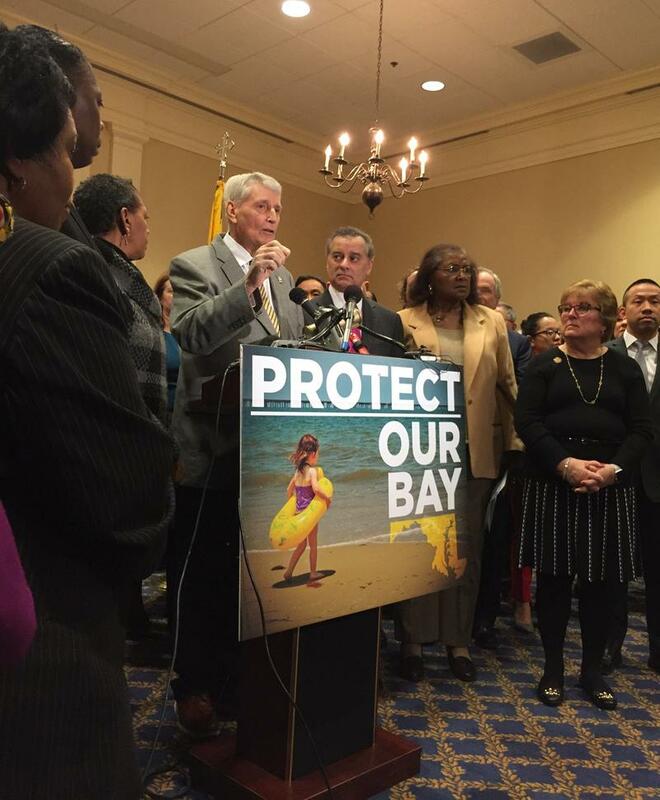 The cuts would remove EPA oversight of the Chesapeake Bay's so-called pollution diet to clean up the bay and its streams, creeks and rivers and drew sharp rebukes from bay scientists. State lawmakers are questioning the decision by Gov. 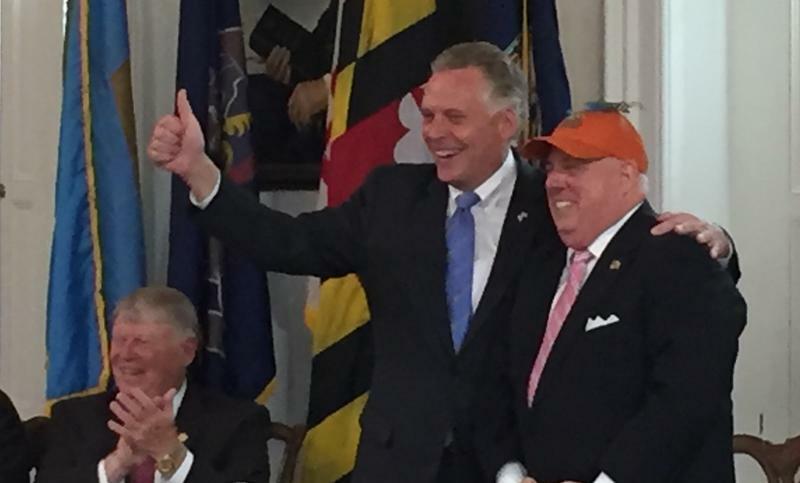 Larry Hogan’s administration to fire the long-time manager of the state’s blue crab program. State House and Senate committees grilled administration officials over the dismissal at a joint hearing Monday. 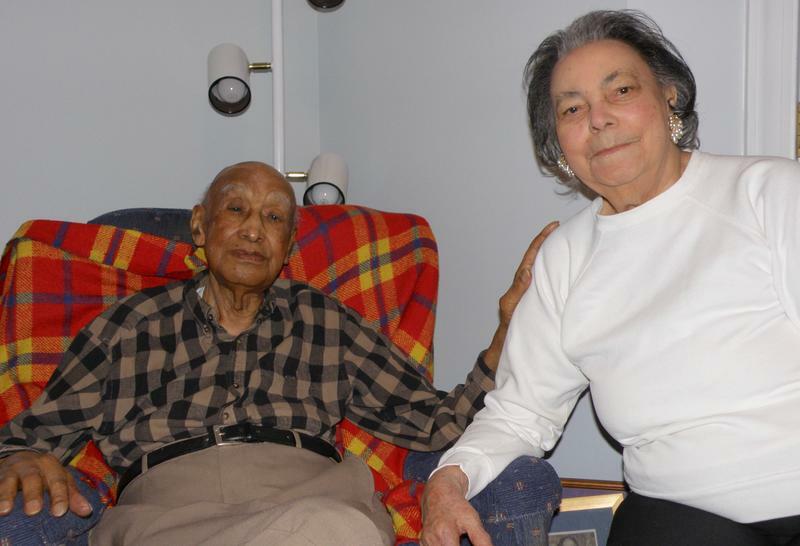 In honor of Valentine’s Day WYPR’s news department skipped the usual politics and mayhem to introduce you to William and Bessie Hudnall, who have been married for 79 years. They’ve lived in Baltimore and New York, but spent most of their lives—he’s 102, she’ll be 98 next month—near the Chesapeake Bay in Northumberland County, Virginia. Tim and Yvonne Treadwell were tanking up their 34 foot Formula on an October weekend, getting ready for one last trip before pulling the boat for the winter. Over the summer, they’d gone to Fells Point, Chestertown and Rock Hall for swimming and concerts. "We just play all up and down the bay," Yvonne Treadwell said. "It’s a lot of fun." 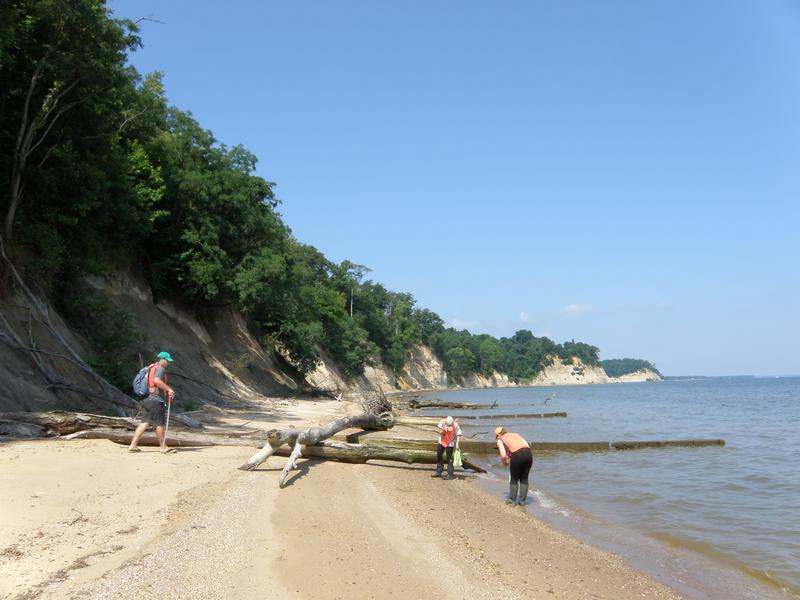 Chesapeake Bay shorelines are gradually disappearing as sea level rises and higher high tides eat away at beaches and fragile, sandy cliffs. And while that causes anxiety for some waterfront property-owners, it also creates a dilemma for archeologists and paleontologists. They’re gradually losing important sites and artifacts to the water. 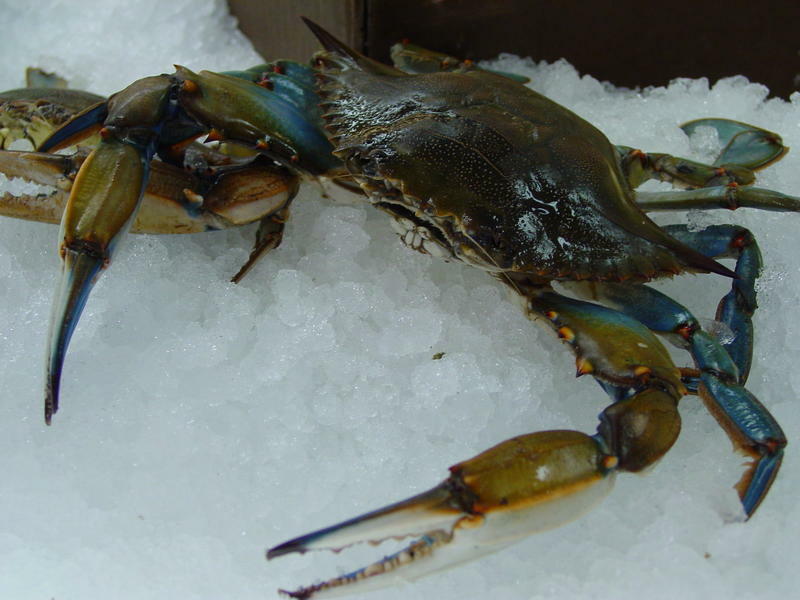 Over the years, scientists have learned more about the Atlantic blue crab than just about any other species in the Chesapeake Bay. But there’s at least one mystery that still has them stumped. What happened to the millions of young crabs that vanished in 2012, what should have been a bumper year? What’s In The Water At The Old Swimmin’ Hole? It’s a summertime tradition, diving into the nearest creek to cool off on a muggy afternoon. Maybe you want to remain blissfully ignorant of what’s in that water. But the Chesapeake Bay Foundation, in league with three community colleges, has set out to let you know. Not to scare you, but to educate you. 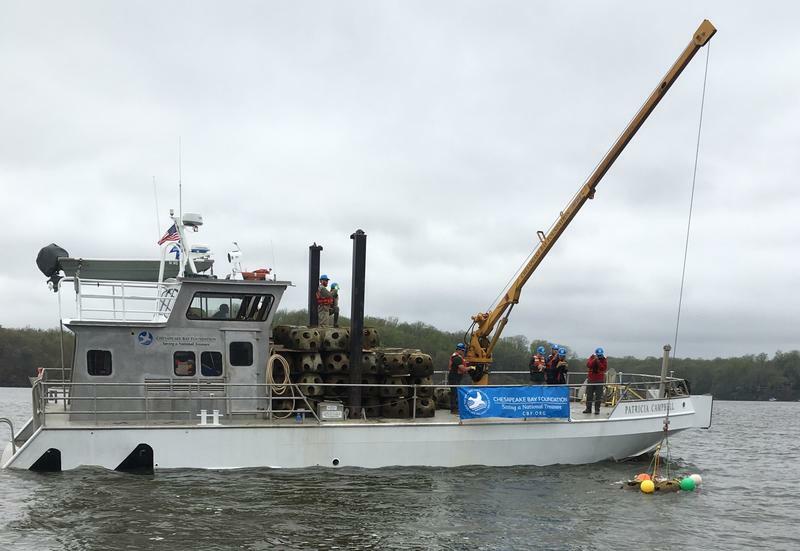 Because wild Chesapeake Bay oysters are increasingly scarce, many oyster harvesters are switching to growing their own oysters in tanks and underwater cages.